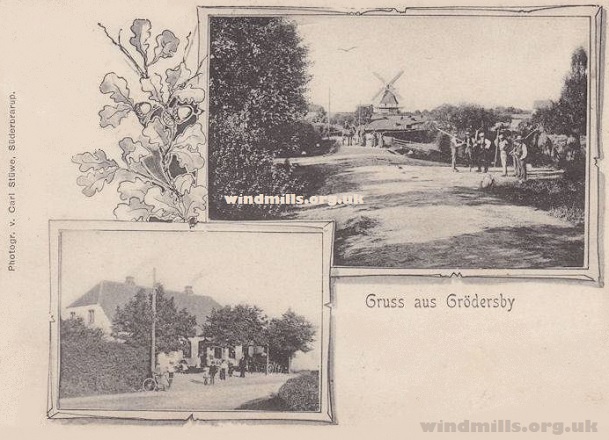 Groedersby windmill as featured on an old picture postcard posted in 1909. Close to the German / Danish border, in the state of Schleswig-Holstein, in a small town called Grödersby, a rather splendid four-floor ‘Dutch’ windmill dating back to 1888 can be found. 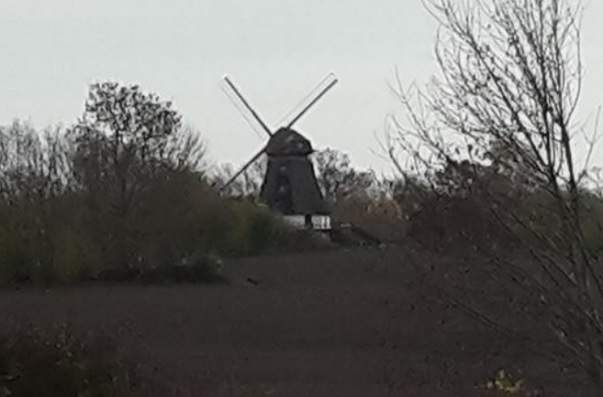 The Mill in Grödersby seen from a distance on a grey day in November. Photo by Jens Ole Sendke. Unfortunately as the mill is now a private residence there is currently no public access. 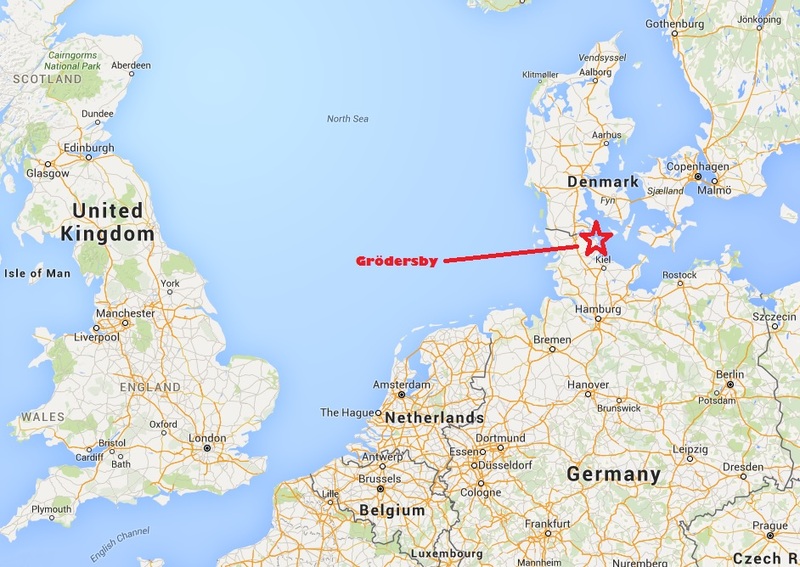 Grödersby on a map of north-west Europe. It is though possible to rent a beautiful nearby little house called Mühlenholz, which used to belong to the owners of the mill, at a very reasonable rate. Full details of the cottage can be found here. This entry was posted in Windmills and tagged German, germany, Grödersby, mills, windmills on November 9, 2015 by Tower Mill.